A classic Ayurvedic massage, Abhyanga uses warm herbal oils and rhythmic strokes to increase circulation, lubricate joints, and release toxins from the body, and deeply relax the body and mind. A collection of Ayurvedic oils and customized strokes are used to soothe muscles while allowing energy to flow freely through the body. The Ojas treatment is most similar to a Swedish massage. Design to relieve muscle pain and tension, this treatment uses slower and deeper pressure on concentrated areas of the body. Allow your mind to relax with this massage of the head, shoulders and neck. Choreographed strokes and marma point therapy help to open energy channels, relieve muscle tension, and restore balance to the entire body. 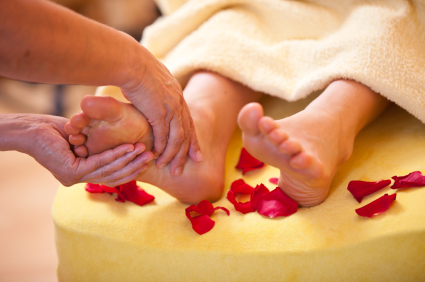 Experience our Ayurvedic equivalent to the art of reflexology. This treatment uses rhythmic massage and marma point therapy on the lower legs and feet to detoxify and balance the body. A unique Ayurvedic treatment that combines the Shiroabhyanga and Padabhyanga services for the ultimate in rejuvenation. Marmas are the connection points between the doshas, the mind and body. Marma therapy uses subtle therapeutic touch with dosha-specific oils to unblock vital energy points.This treatment restores health by aiding the circulation of vital energy throughout the body. Shirodhara is a deeply relaxing treatment in which a warm Ayurvedic oil is streamed onto the forehead and the sixth chakra, your intuitive center. This meditative treatment relaxes the nervous system and relieves mental stress. Shirodhara creates harmony of mind, body, and soul. Please note: Shirodhara leaves nourishing oils in the hair. Enjoy the unforgettable experience of smooth flat heated stones which are strategically placed on different parts of your body to maximize its therapeutic effect. The healing stones made out of basalt, a type of volcanic rock that retains heat were used by Native Americans, the Chinese, Indians and Hawaiians to; help detoxify the body, improve circulation, stiff joints, treat anxiety, stress, depression and insomnia. Hot stone therapy is also very effective for relieving symptoms from; fibromyalgia, arthritis and carpal tunnel syndrome. 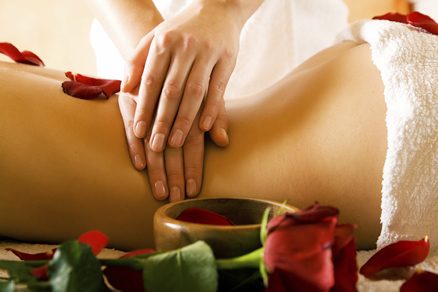 Treat yourself and allow this ancient art to completely rejuvenate you; mind, body and spirit.